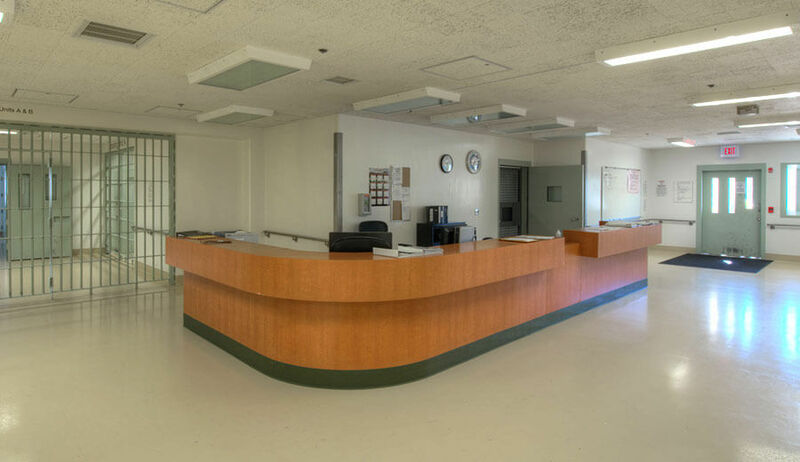 The 50- bed mental health facility is 45,000 square feet of new construction on the grounds of the California Men’s Colony in San Luis Obispo, California. 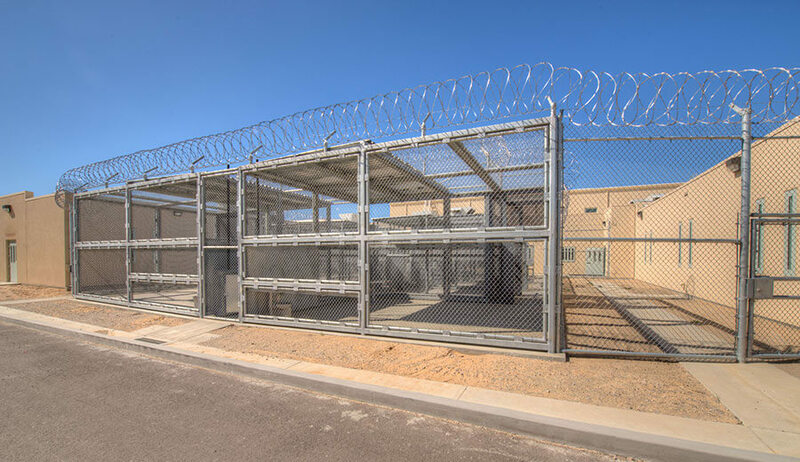 The new spaces include 33,000 square feet of detention cells, treatment areas, kitchen, on the first floor with Administrative Offices on the second floor (12,000sq. ft.) all under one roof. All of the interior and exterior walls are constructed of CMU. 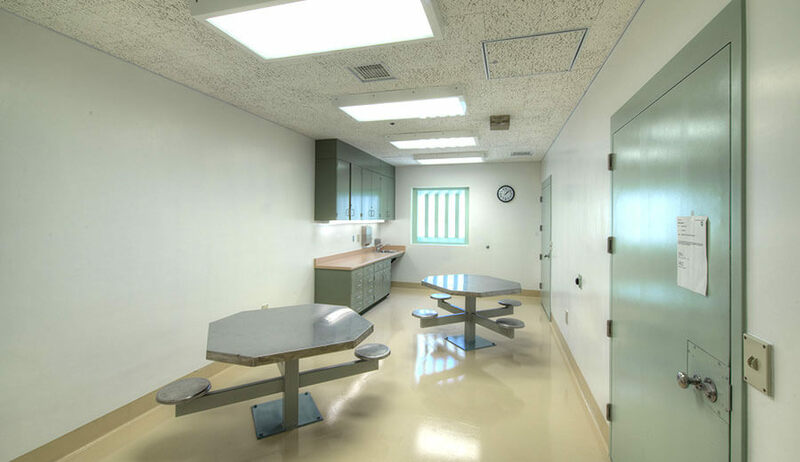 The interior first floor walls are plastered with epoxy paint and epoxy caulking for detention requirements. 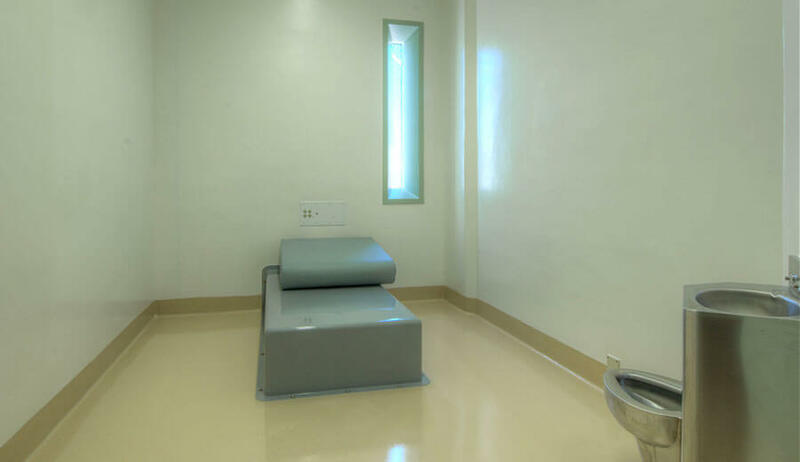 The first floor housing areas have concrete ceilings, high tech detention doors and hardware and vacuum waste system. The entire building is backed up with an emergency generator and fuel tank capable of producing power to keep the building operational for 72 hours. This project achieved a LEED Silver rating under LEED-NC V2.2. Some of the features to achieve this status included a vacuum waste system to reduce water consumption, stainless steel accumulator tanks as part of the vacuum system, lift station to pump waste to a solid separator, and an EIFS system to improve the insulating value of the building.